Pakistan has signed a provisional agreement with Russian energy giant Gazprom on a feasibility study for an offshore pipeline that would supply natural gas from the Middle East to Pakistan and other parts of South Asia. The memorandum of understanding is the latest in a series of energy-related agreements between Pakistan and Russia, former Cold War foes who have grown closer in recent years. 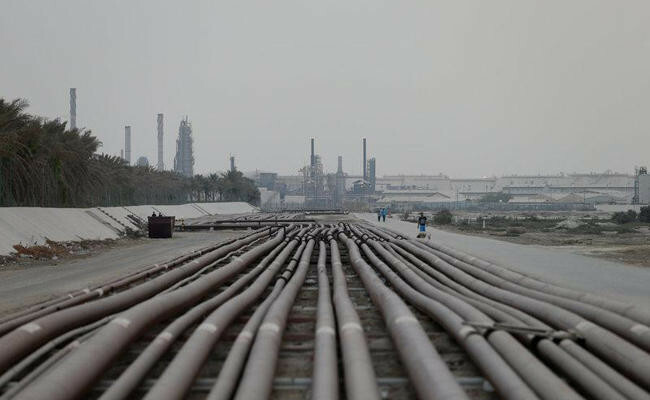 An offshore pipeline from Iran has long been discussed by Pakistani officials, but its viability has been questioned due to the delicate geopolitical situation in South Asia and the rivalry between nuclear-armed neighbors India and Pakistan. U.S. sanctions against Iran are also a major hindrance for most gas pipeline projects in the region, with the offshore spur from Iran to Pakistan and India set to cost an estimated $10 billion, according to Pakistani media. Pakistan will import some 500 million to 1 billion cubic feet of gas a day from Middle East sources, the ministry said, according to the agreement Gazprom signed with Pakistan’s state-run energy infrastructure arm Inter State Gas Systems (ISGS). Islamabad previously signed an intergovernmental agreement with Russia to discuss the import of liquefied natural gas (LNG) to Pakistan, one of the world’s fastest-growing LNG markets. But a $2 billion North-South pipeline to deliver gas from Pakistan’s coastal regions to industrial areas in the north has been held up since 2015 due to a disagreement over fees and U.S. sanctions against Russian state conglomerate Rostec.